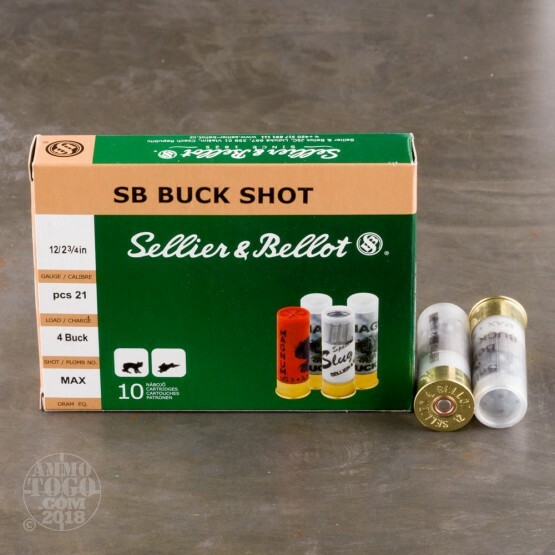 This is 12 Gauge Sellier & Bellot 2 3/4" Max Dram 21 Pellet #4 Buckshot Ammo. 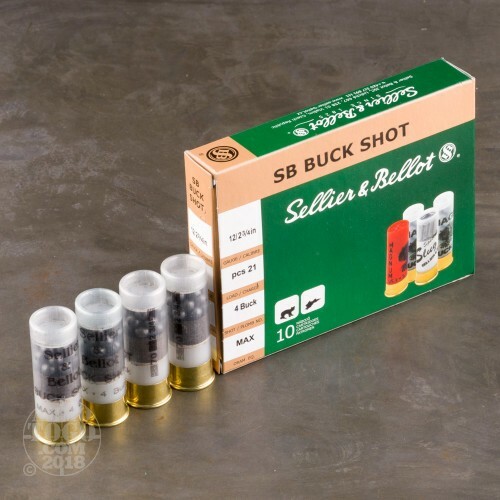 This ammo has a see-thru case so it is easy for law enforcement agents to identify it as buckshot. 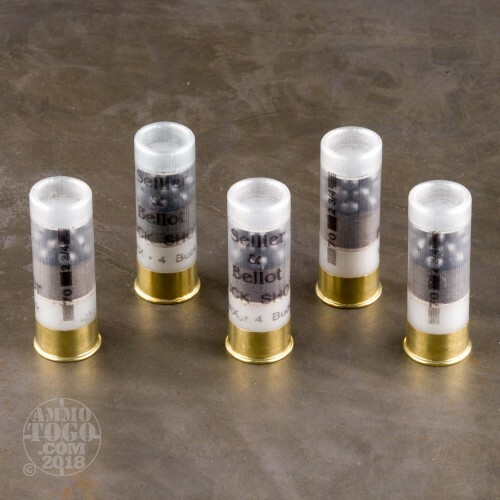 This is some great ammo for self-defense and hunting. 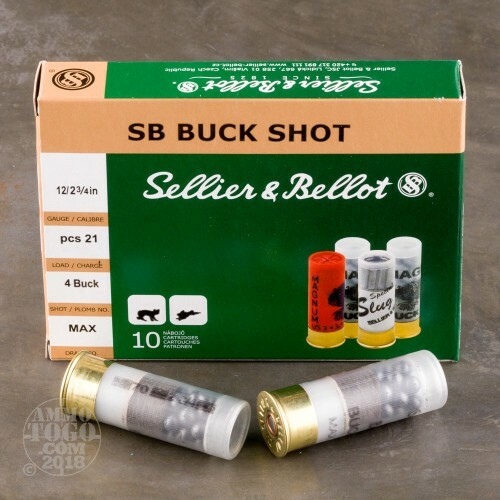 This is considered some of the best buckshot on the market. It comes packed in 10rd. boxes, 25 boxes per case.